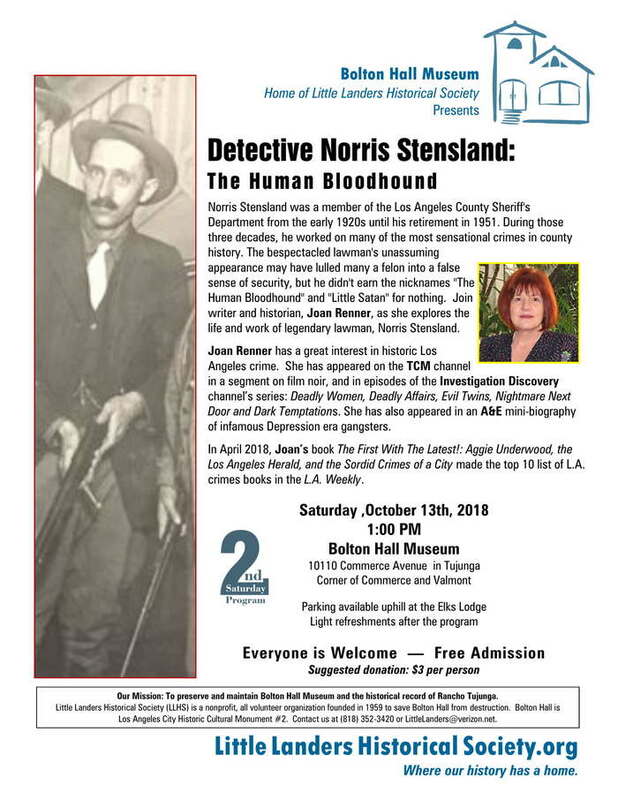 This entry was posted in 1920s, 1930s, 1940s, 1950s, Event, LASD and tagged Bolton Hall Museum, Little Landers Historical Society, Norris Stensland by Deranged. Bookmark the permalink. I would like to know when are more stories coming out? I love your website. Also I wish I could go to the event mentioned but as I am handicapped I don’t go anywhere but would love to go to one of your events some day. Great presentation. The venue was great too. a police station. How wonderfully appropriate.